Received comments from Charles Dasher with Dasher Films on using two Comer light units for their feature films. We received the second Comer 1800 yesterday. I feel like my mini travel light kit is almost complete. 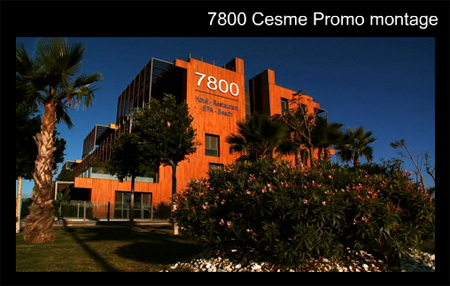 On our website Dash Films the first clip on the video page is named 7800 Cesme. We shot this video in a day and half. The hotel is in Turkey and the budget for this montage was very limited. Using the 1800 on a small light stand made all the difference for getting a decent shot and then heading off to the next location on the property. I could move all my kit in one trip without breaking my back or the bank. On my next trip I am shooting Olympic athletes for a sports foundation's website. We have a 2 person crew and two days to shoot stand-ups and short instructional clips with about 14 different athletes. Pretty much run and gun set ups. I am confident that with my 2 1800's, two light weight stands, and a disc reflector we will have the ability to make the shots look great and stay on target with our time. We carry the light stands in the tripod bag and put the 1800 in my camera backpack. The NP-F970s last plenty for a day of shooting so stingers and cables are eliminated.